A music video shot in Pumping Station: One. into the forms that best suits us. with (look Mom! A full complement of fingers and toes!). Thanks, Ron! Here is the final product of our labor. Enjoy! 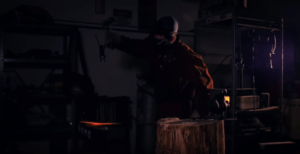 Rogers Park Band: As Metal is in the Hands of the Blacksmith. Roger Park Band: Shared Hearts Music Video. This post is published by bjonnh, but has been entirely written, endorsed and whatever else by Menachem B.